Caressed by clouds, a heart drifts in a cool blue sky. It takes the form of a tree crowned with leafy branches. 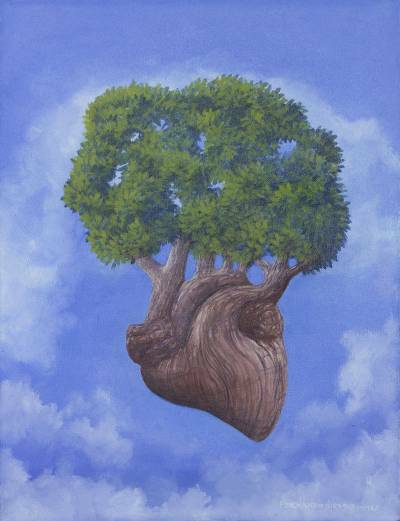 "The tree gives life and represents the growth of the heart," Mexican artist Fernando Niragob says. "As such, it is fundamental for each individual's inner development. Its ethereal and non-material setting permits every viewer to identify with this message."